PanARMENIAN.Net - It’s always been considered that Phoebe, Rachel, Chandler, Joey, Ross and Monica have all shared the main character role in "Friends" – until now. Thanks to sheer curiosity, Data Scientist Yashu Seth has discovered that the real star of the show is actually Ross (David Schwimmer), Metro says. To come to this conclusion, Yahsu downloaded the transcripts to all of the show’s 10 seasons and used different parameters to find out who ‘stood out among our six friends,’ including analysing the number of lines spoken, the total number of words per character and the number of screen appearances both individual and otherwise. Yup, although this late Christmas present might be unwanted, there’s no ignoring the cold, hard facts. Yashu found that Rachel and Ross both had over 9,000 lines each, with Ross having the most number of lines in the first three seasons and the last, while Phoebe had the least lines at just 7,000. Meanwhile Chandler had the most screen appearances, however Ross had the highest number of individual appearances with the others not even coming close. Rachel won the number of episode mentions, but only by three ahead of Ross, mind you. 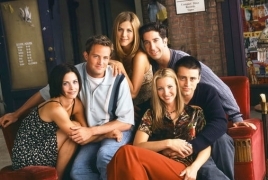 Throughout Yashu’s study it became clear that both Ross and Rachel paved the way in terms of featuring in the sitcom the most, however ultimately he concluded that Ross was the clear winner, explaining: ‘It is really close between Ross and Rachel. ‘But, Ross beats Rachel by a significant margin in the individual scene appearances. Besides, there was very little difference between them in the other parameters. Hence, I will have to give it to Ross.’ Well, that’s that then.